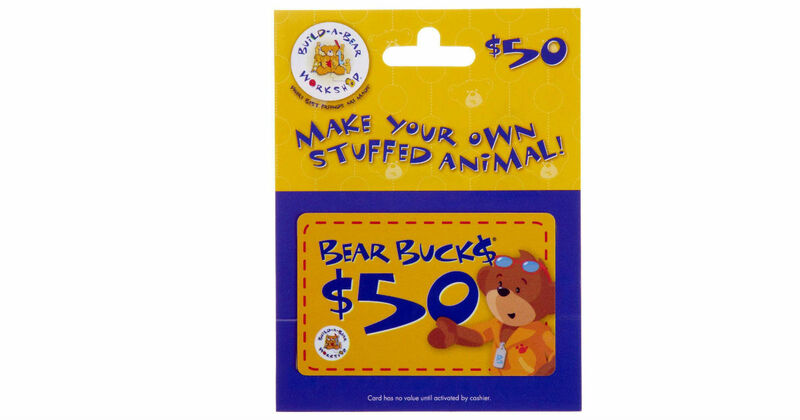 For a very limited time, score this $50 Build-A-Bear gift card for only $40! Give as a gift, or use for your own shopping. Hurry, these won’t last long! Give the furry fun of making a stuffed animal friend. Over 325 stores worldwide. Visit us online to find a store near you. Retail stores located nationwide except in North Dakota, South Dakota, Vermont, and Wyoming.